For generations, the traditions of the kilt and of every aspect of Highland dress have been Chisholm family watchwords. The colours and nuances of finely woven clan tartans, the intricate patterns of tweeds, the lustre of leather, the shine of silver against black barathea or green velvet …. these are the bases of the knowledge and customs which lie behind our claim to the title of ‘kiltmakers by tradition’. To these, we bring the added dimensions of personal supervision and service which are the hallmarks of the finest tailoring. Now in this new millennium, it is encouraging to see a true renaissance in the wearing of the Highland dress and, with more and more interest in tartans and the wearing of the kilt, we are proud to present this website which illustrates the colourful subject of Highland dress today. This dress deserves to be shown off in the finest of settings. Chisholms are therefore particularly grateful to the Carnegie Club, for permission to photograph these fine garments and accessories in the splendid setting of Skibo Castle and its grounds. We hope that this site will inspire and guide you in your choice of Highland dress – whether you shop personally at our Inverness store or by mail order made easy. However acquired, it will assuredly be an enduring statement of quality and personal style. 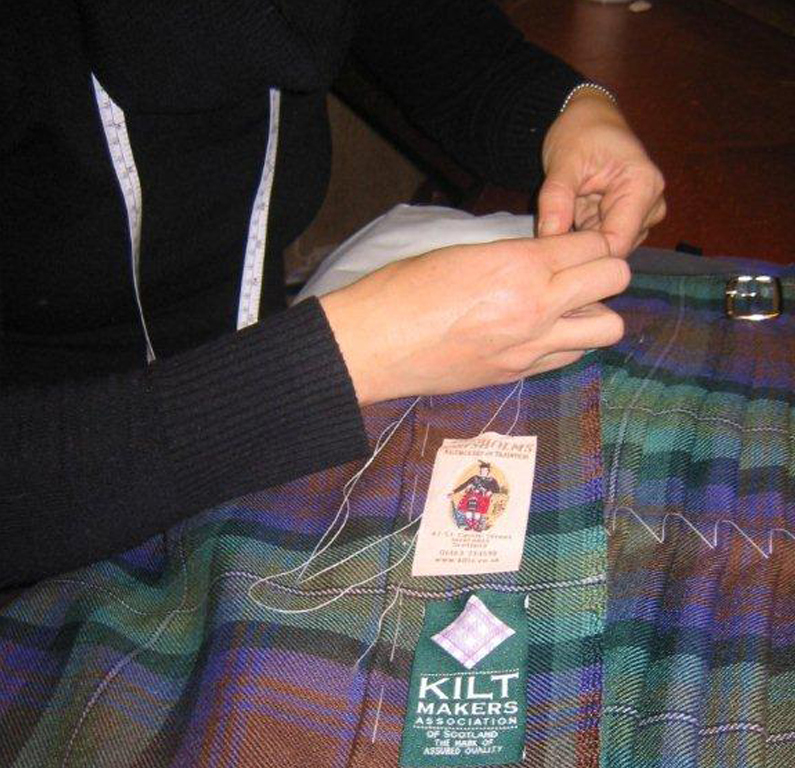 We tailor custom-made traditional kilts and sell these all around the world. 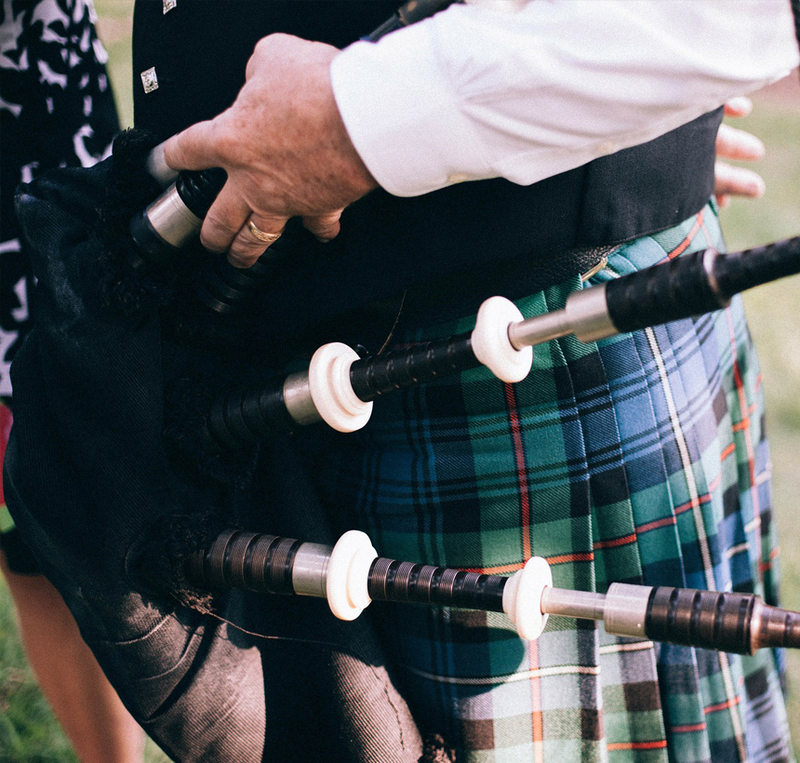 From full kilt outfits to individual accessories, we’re experts in the supply of kilt ware and provide only the highest quality. 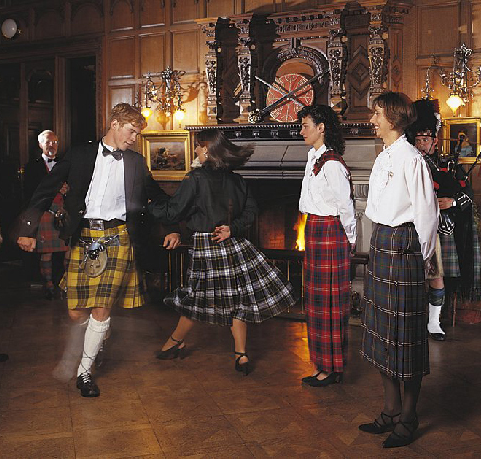 We supply kilt ware for hire to men, women and children for every type of social occasion. You can reserve your kilt hire from our website. Our shop is open from 9am-5pm, Monday-Saturday. You can visit us in person here. Duncan has been involved in the family business now for over 55 years and is Company Chairman. His interest in clans and Scottish history led him to an involvement in many Highland associations. He is a Past-President of the Clan Chisholm Society and Inverness & Highland Chamber of Commerce and Chairman of The Kilt Makers Association of Scotland. He is also a member of the board of Inverness BID (Business Improvement District). He has recently retired as a Justice in the Scottish Courts Service and was recipient of the Tourism Ambassador of the Highlands Award 2007. Other interests include the Scout Movement and being an active member of Inverness St Columba Church New Charge Commission. Town Twinning is another interest and he is currently secretary of the Augsburg/Inverness connection. He is married to Mary and has a daughter Jane and granddaughter Chloe, and a son, also Duncan, who owns a Spanish restaurant – La Tortilla Asesina on Castle Street, Inverness. For Highland dress in all its rich variety, the traditional choice of Highlanders themselves is Chisholms. Generations of the Chisholm family have created a reputation which makes our Castle Street Inverness premises the ‘Savile Row’ of kilts and hand-tailored ready to wear Highland day and evening dress. Beneath the shadow of Inverness Castle, Chisholms have gathered together a unique range of tartans, tweeds and Highland dress accessories that’s second to none. For the personal caller and mail order customer alike, we offer expert advice on the many hundreds of tartans available. A section of clan tartan patterns can be sent for mail order customers to choose from. 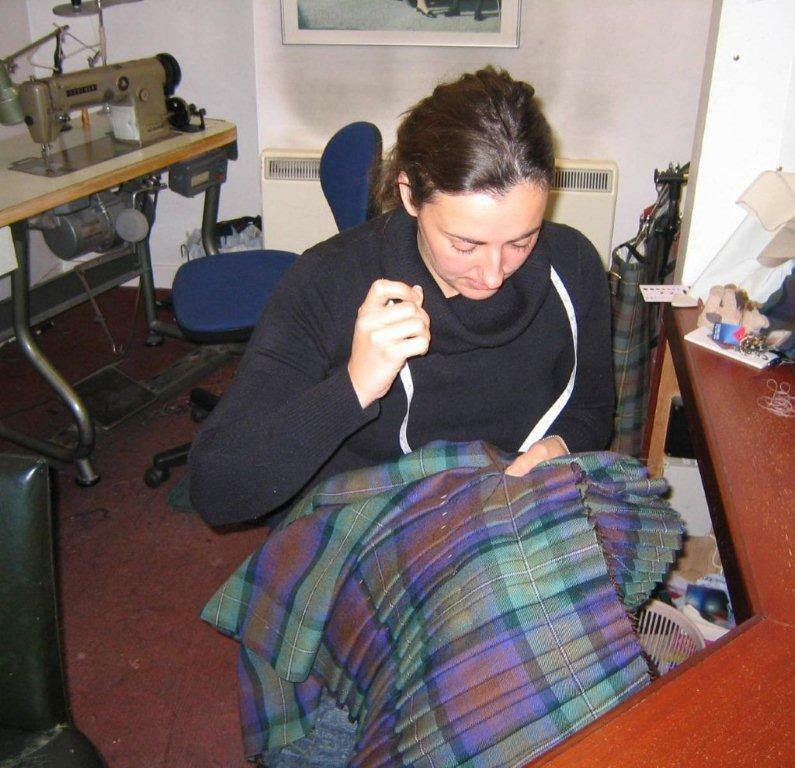 For those who cannot lay claim to a clan or associated name – or who simply prefer their patterns or colours – a large range of district, Irish, Canadian and general Scottish tartans is available. The kilt is a garment steeped in over two centuries of tradition. It is recognised the world over as one of the most enduring of national statements. It has character. It has style. It has real class. Now, in recognition of the kilt’s importance as one of the icons of Scottish culture, The Kilt Maker’s Association of Scotland has been formed to provide the kilt-buying public with an easily recognised standard of quality – a simple label that lets you know that the kilt you’re wearing is the genuine article. Duncan Chisholm is a founder member and the kilts of Chisholms Highland Dress meet the required standard. Only those kilt makers who meet the independently assessed standards of the Association are entitled to use the official label. It confirms that they are committed to maintaining traditional standards in tailoring and materials.